Having a successful dentistry practice is something that can be difficult to achieve and it is best to have a good dental coach to help you to have an effective and efficient business, this article will talk about the things this coach can do to help you. 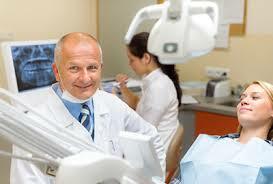 Advertising is extremely important for your practice. Traditional advertising is generally of no use to dentists, this is because it is likely that people will visit dentists in their local or surrounding area unless they have an exceptional reputation, there are exceptions to this rule however. 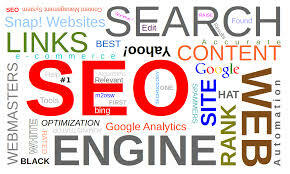 The surrounding area is the market for dentists to tap into and this makes search engine optimisation (SEO) so important, you want to ensure your dentistry shows at the top of the search results when someone is looking for a dentist in your area. Any good dental practice will offer a wide variety of services to meet the demands of any customer, it is commonplace for dentists to have a hygienist or orthodontist at a dental practice. The more services that you offer the easier it will be to get people to your practice, but there is an optimal amount too. Don’t be the dentist that charges too much, people are acutely aware of when businesses are this way and will go to a competitor instead if they feel there is little value in your practice. The best thing to do is to set prices in line with your competitors in the area. Start lower with prices and then increase them when you begin to build a good reputation and customer base. In order to do this you need to prove that your dentistry is consistently better than others and people will want your service. Another good idea is to offer reduced rates for new customers and this will give you an opportunity to showcase your work and quality of service. One of the most common mistakes for any business is to have a poorly designed website. If your website is not good people will spend less time on it and will not find the information they need to potentially decide that your dentistry is for them. It is important for people to be aware of the results that you produce with your work. It is very likely that they won’t come into your practice to find out this information, they are more likely to search the Internet and it is important to have this information available on your website.